There is no chance of a default on a state level in Russia, Russian Deputy Prime Minister Arkady Dvorkovich told RT at World Economic Forum in Switzerland, adding that the government will fulfill its obligations. Russia’s economic woes have caused Western rating agencies cut the country’s debt rating to just a notch above junk status, with the fear they could put Russia to a non-investment category soon. Rating downgrades are a political issue, says Dvorkovich. It is clear there are objectively greater risks to the Russian economy and a negative forecast is possible. On Wednesday, Iraq’s oil minister Adel Abdul Mahdi saidin Davos that oil prices have hit bottom and are not expected to drop further. Oil prices have fallen nearly 60 percent since June 2014, both WTI and Brent benchmarks are below $50. On the issue, Dvorkovich said that the “period of low prices may last for some time, but the prices should return to the normal level.” He elaborated that of course they will not return to $110 per barrel, but he expects the prices to stabilize between $60 and $80. Talking about the ongoing ruble crisis, Dvorkovich said one of the essential steps is to restore the trust in the national currency. Since oil prices are gradually stabilizing, the trust factor prevails. If it’s restored, the currency will no longer see such storms in its exchange rate. “Then there’ll be no fear of further fluctuations. This is what both the government and the central bank are currently engaged in,” he said. Negative growth in Russia is possible, but the experience of 2009 has shown that the country has every chance to quickly overcome difficulties and restore positive growth within a year, said Dvorkovich. “We will try to avoid recession this year, although, of course, a lot is working against us. But even if we won’t be able to do this, we are sure that there are enough instruments of economic policy to ensure positive growth in the coming years,” he said. The sanctions imposed by the west have become another reason why the Russian economy is facing complexities. Such measures have always reflected negatively on the economies against which they were imposed, on the economies which imposed sanctions, and on neighboring countries. However, Dvorkovich believes, the goal pursued by the West is impossible to achieve. The country has accumulated substantial reserves in case of hard times, and part of them will be used to fully ensure that the government fulfills its social obligations on a number of priority projects and trends in the field of security, agriculture and in many other areas. 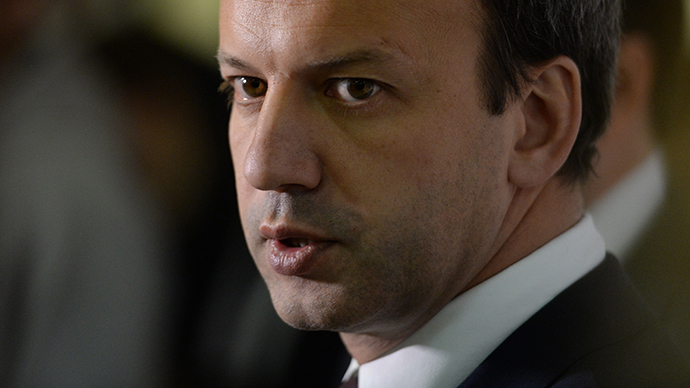 However, less efficient spending of lower priority will be reduced, Dvorkovich said.